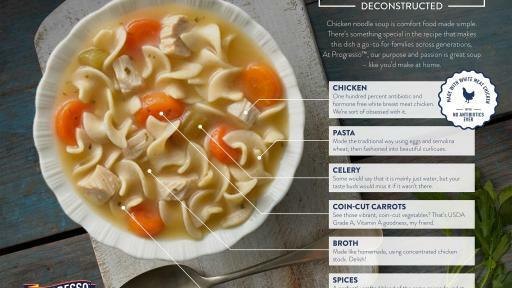 Progresso is now using only 100 percent antibiotic and hormone free chicken breasts in all of its 36 chicken soup varieties. 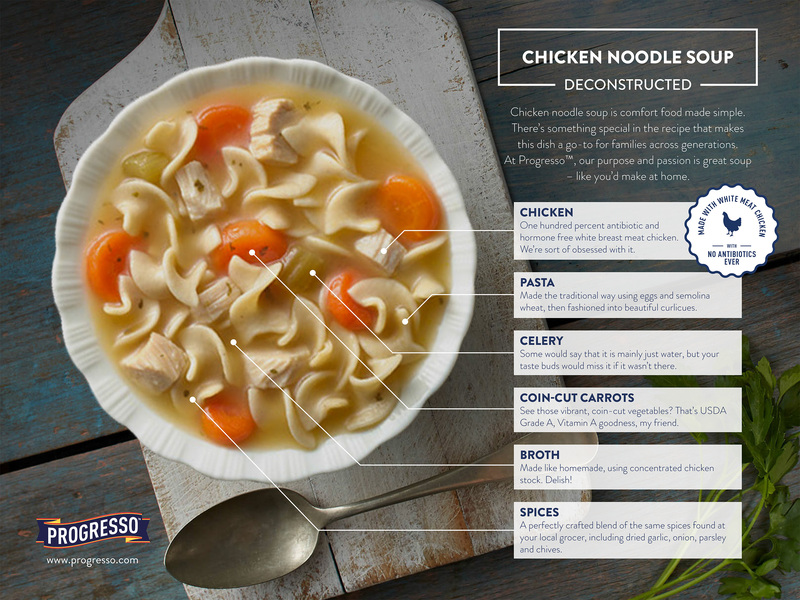 Currently available on store shelves nationwide, Progresso is the first large retail soup brand in the United States to have antibiotic and hormone free chicken breasts in its soups. 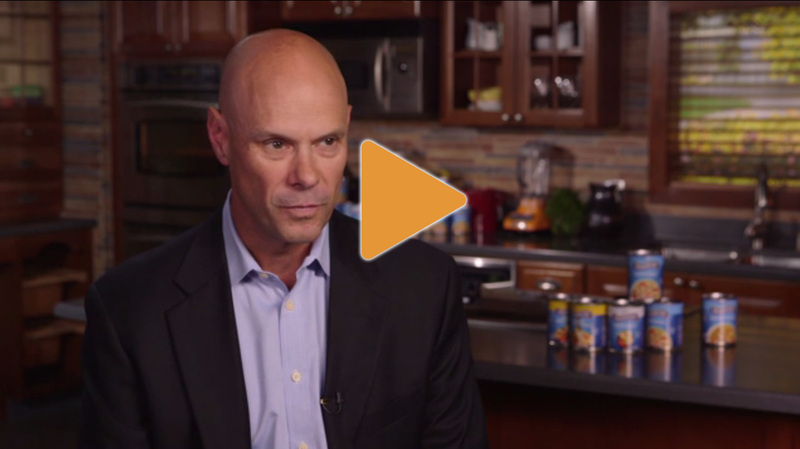 For decades, Progresso has been committed to continuously improving the quality of its soups. 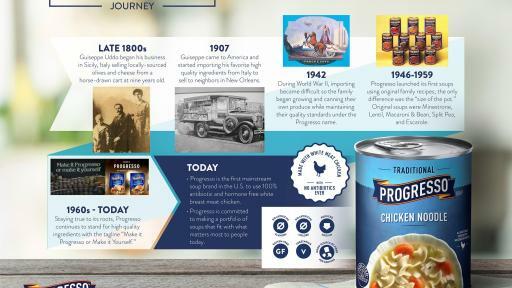 Not only is Progresso now using only white breast meat chicken with no antibiotics or hormones, but the brand is also free from artificial flavors and has removed artificial colors from 60 percent of its soups, with a goal to remove 100 percent by 2019. In addition, the soup brand has reduced sodium levels in more than 40 soup varieties, added seven soups to its certified Gluten Free product line and is increasing its vegetarian soup options. The product updates will impact all chicken soups across Progresso’s Traditional, Light, Reduced Sodium, and Rich & Hearty lines, including its most popular varieties, Chicken Noodle, Chicken Wild Rice and Chicken Dumpling. 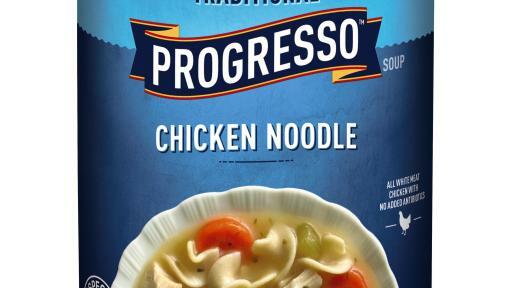 Progresso also debuted new packaging this summer for the first time in over a decade. 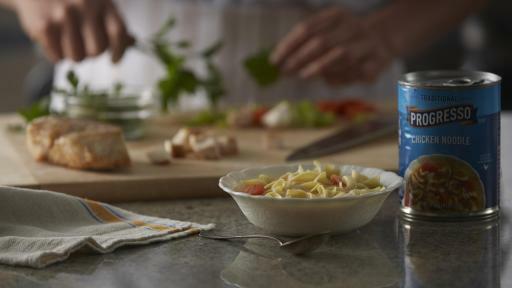 With a modern, fresh look, and brighter blue colors, the new packaging reinforces real-quality ingredients and will make the soup aisle easier to navigate for shoppers. 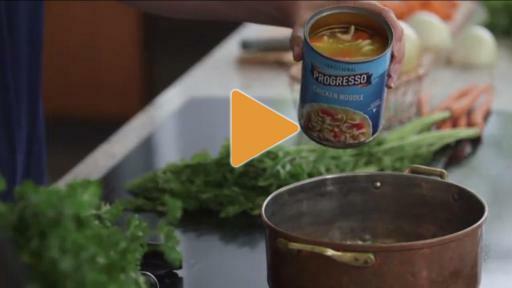 To learn more about Progresso and its delicious soup offerings, visit Progresso.com. Follow the brand on social media on Instagram and Facebook. 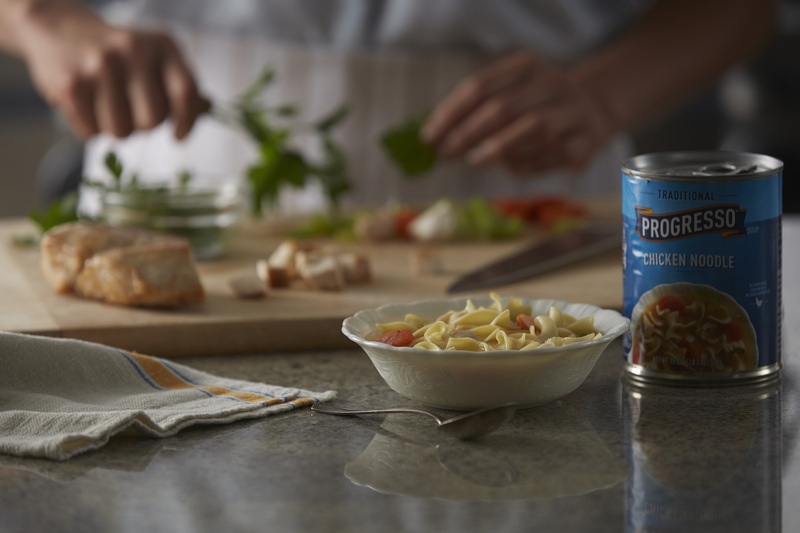 Crafted for taste, Progresso's soups are made from authentic recipes using quality ingredients. 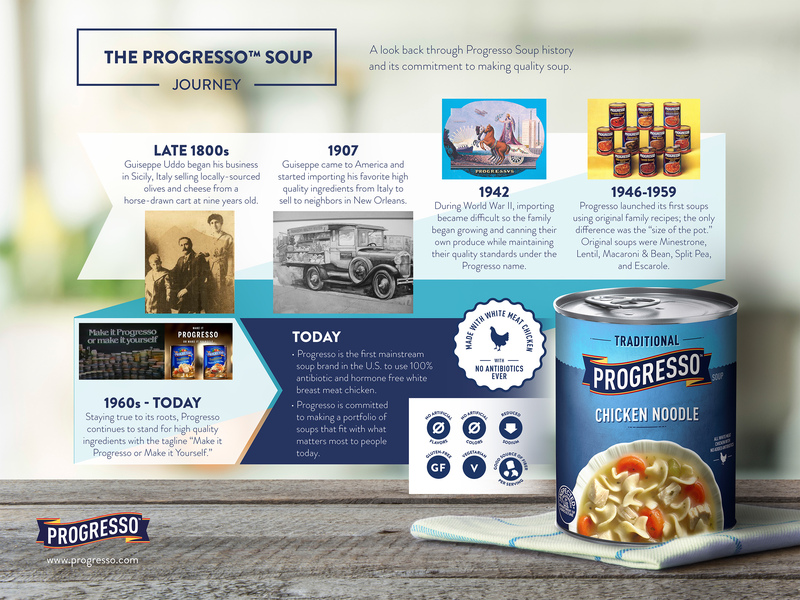 Founded as an Italian import company by Guiseppe Uddo and Vincent Taormina over 100 years ago, Progresso has grown to become one of the most popular brands of ready-to-serve soup in the United States. 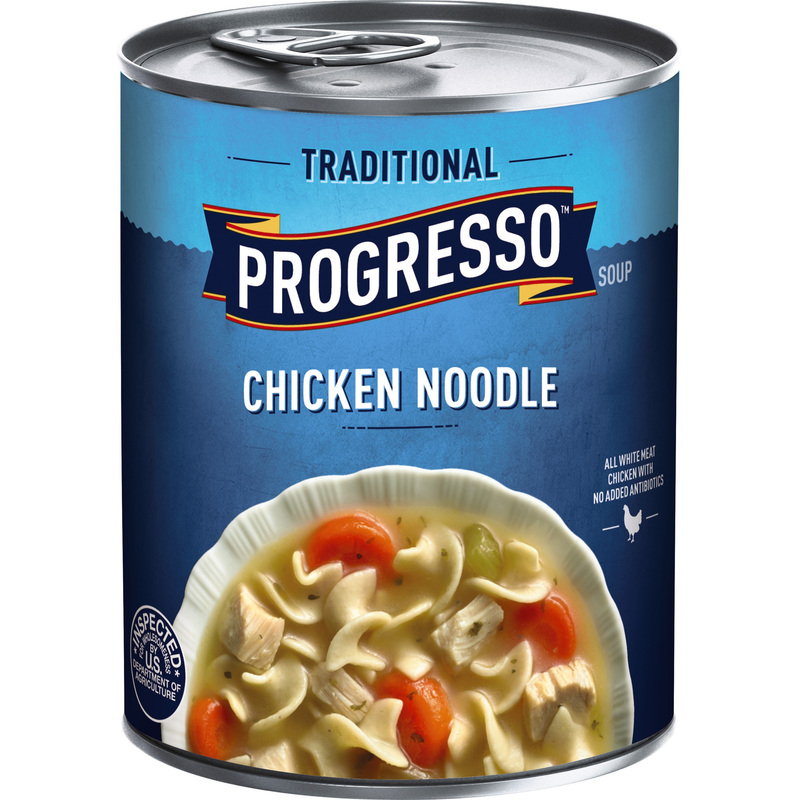 Progresso is a member of the family of brands within General Mills (NYSE: GIS), headquartered in Minneapolis, Minnesota, U.S.A. Learn more on www.progresso.com.